Sol de Invierno Cocktail — Driana Foods Inc.
“Sol de Invierno” means Winter Sun besides its delicious flavor, citrus is in season now and are high in Vitamin C which we all need in the when temperatures drop. 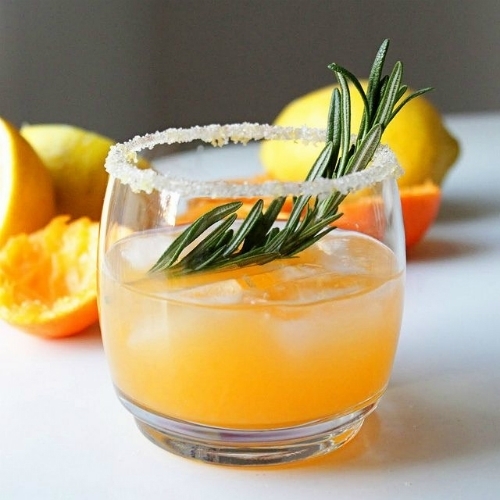 The touch of Rosemary is a perfect compliment and if you feel fancy you can mix 1 tablespoon of sugar and mix a pinch of himalayan salt and add it to the rim of the glass. Mix all ingredients shake well, serve over ice on sugared rimmed glasses.